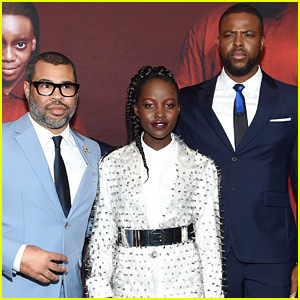 Lupita Nyong’o is joined by director Jordan Peele and co-star Winston Duke at the premiere of Us on Tuesday night (March 19) at the MoMA in New York City. 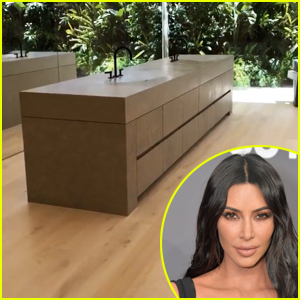 The stars were joined at the event by co-stars Tim Heidecker, Yahya Abdul-Mateen II, Shahadi Wright Joseph, Evan Alex, Cali Sheldon, Noelle Sheldon, and Ashley Mckoy. 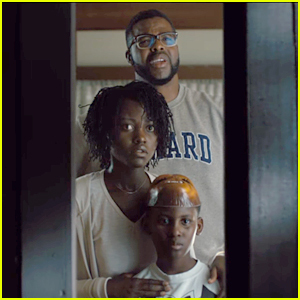 The new horror film is the follow-up to Jordan‘s Oscar-winning movie Get Out and it hits theaters this weekend. The movie has a terrific 99% on Rotten Tomatoes right now! Jordan was joined at the event by his wife Chelsea Peretti. FYI: Lupita is wearing a Balmain dress, Aquazzura shoes, a Colette ring, and Vita Fede jewelry. Jordan and Chelsea are both wearing Prada and Moritz Glik Fine Jewelry.